UPDATE: The “Firewall” mission is available as soon as you turn in all 4 Relics. 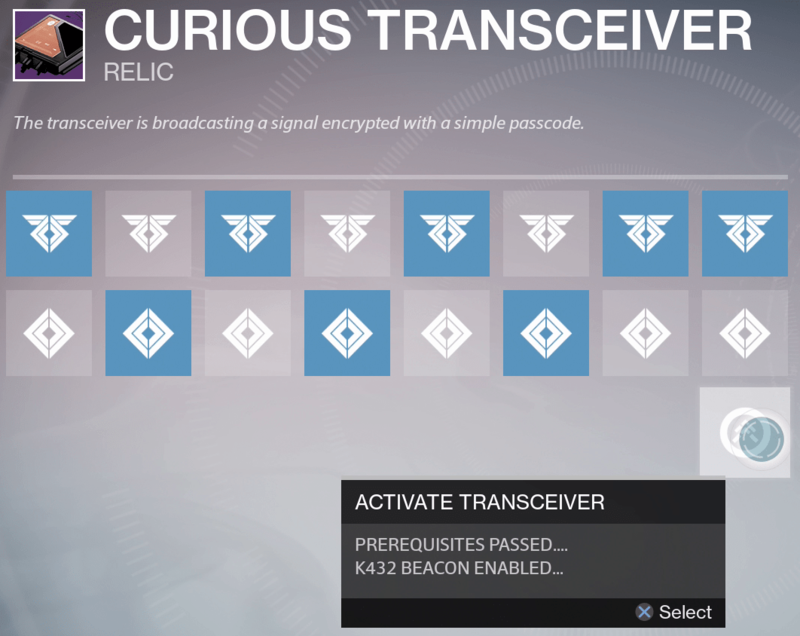 The search for Sleeper Simulant starts with “The First Firewall” quest! 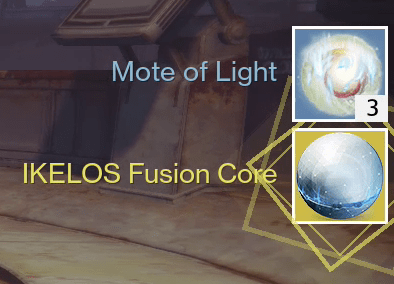 To unlock it, you’ll need to turn in all four Legendary “DVALIN” Relics (which drop at random) to the Gunsmith. 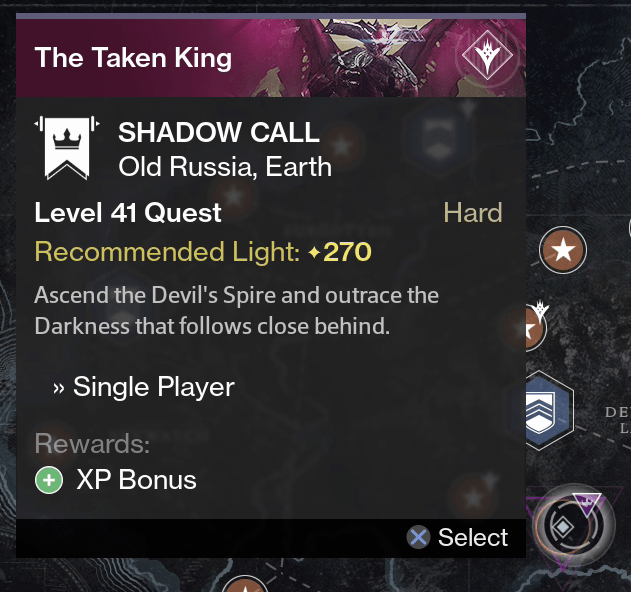 This mission pops up in the Cosmodrome, taking you to Rasputin’s Bunker where Omnigul is first spotted during The Dark Below. 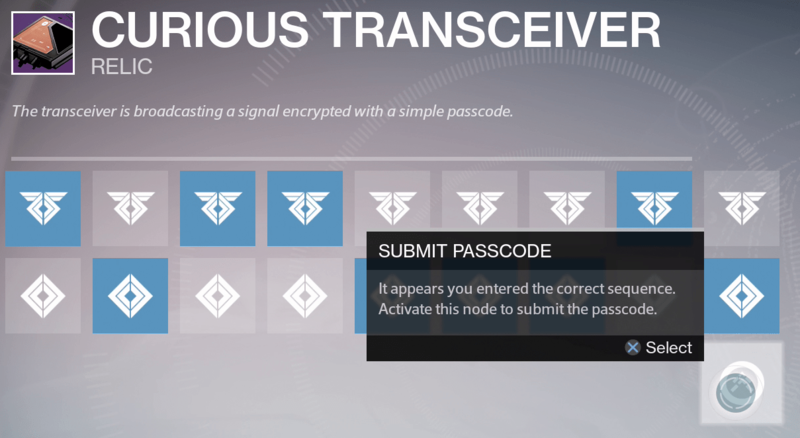 Once you scan the console, you’ll need to survive multiple waves of Hive and Taken Knights. Have a weapon with Arc damage ready to go. After the waves, a massive Ultra Knight, Kandorak, will spawn. 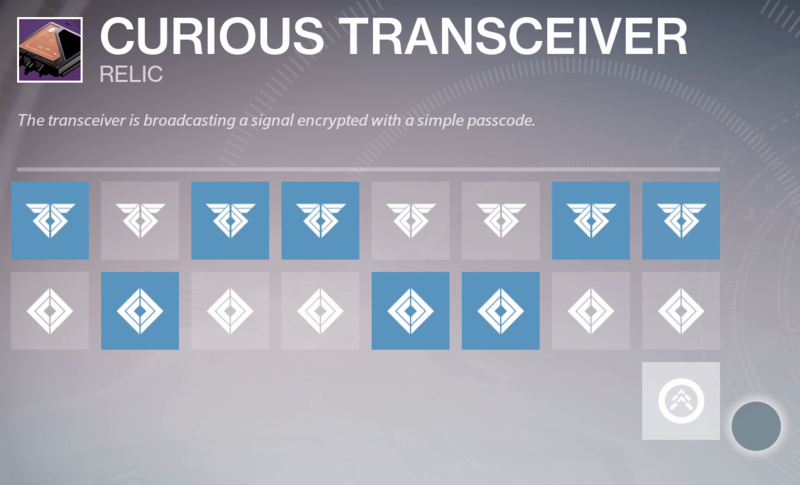 Take him out quick – he’ll drop the Curious Transceiver. Inspecting the curious transceiver will bring up a screen where you can input a code. There are two rows of images. We’ll refer to the top row as “1” and the bottom row as “2” – each successful code will unlock another. The next mission takes you back up the Devil’s Tower in the Cosmodrome, where Cayde keeps his stash. You’ll start at the broken bridge, and have 4 minutes to ascend to the top. Watch out for Taken along the way, but don’t stop and fight. Use a sword to push through a wall of Thrall if they get in your way. At the top, you’ll fight off 3 yellow Wizards. If you get down to 30 seconds left, a Shadow of Oryx will spawn. Do it quick! 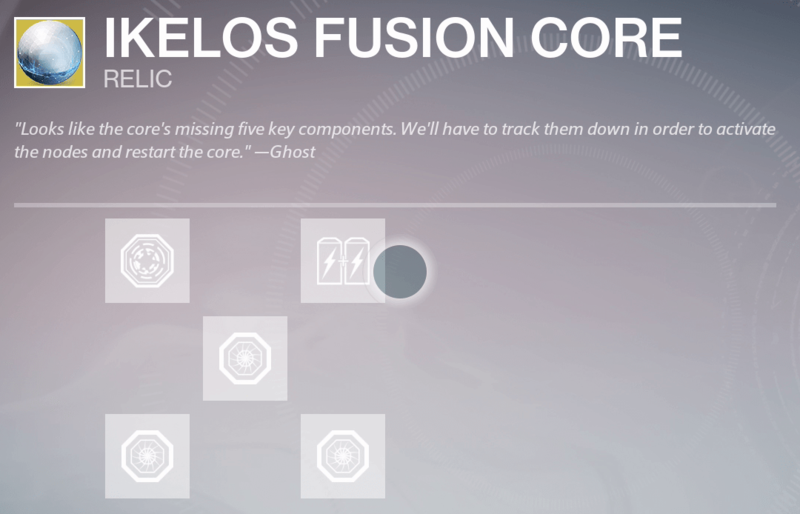 Completion will reward the “Ikelos Fusion Core”, an Exotic mission item. 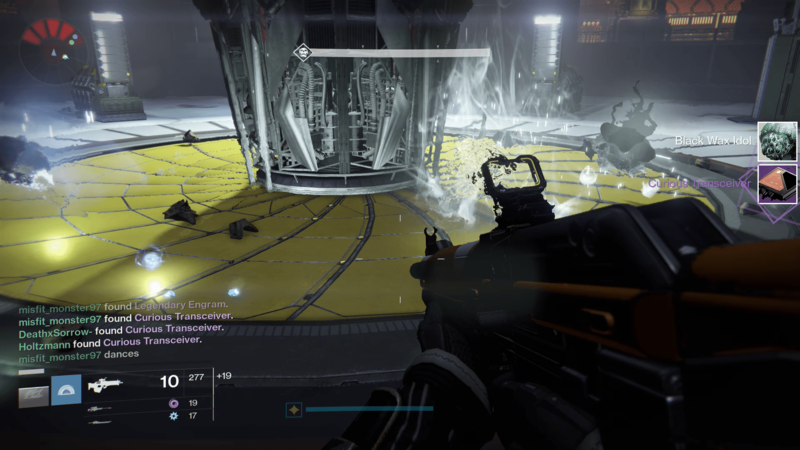 NOTE: You cannot do this mission with a fireteam! It must be performed solo. Complete “The Archive” mission on Venus on any difficulty. Dismantle any Legendary heavy weapon. Defend the Warsat during a public event on Earth. Defend the Warsat during a public event on the Moon. Defend the Warsat during a public event on Mars. Return to the Gunsmith, and he’ll give you a mission for the frame in which you need to do complete the Fallen S.A.B.E.R Strike. Just complete it and return to Banshee-44 when you’re done!